Bibi’s latest, of a very long, long list, capitulation to dangerous and ridiculous Leftist pro-Arab terrorist demands was the removal of the recently set up metal detectors to the Temple Mount for Arabs. 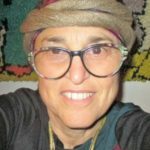 As Paula Stern aka A Soldier’s Mother has complained on facebook, not only do Jews, Christians and whatevers have to undergo demeaning “inspections” to get to the Temple Mount, where we’re forbidden prayers, but just to go to the Kotel we go through metal detectors and our possessions are xrayed. For those unfamiliar with the Old City of Jerusalem, the Kotel and Temple Mount, I’ll explain a bit of the “geography.” The Temple Mount is in the old walled City of Jerusalem. It’s an “outer section.” The “outer wall” of the Temple Mount is a section of the Old City Walls. The Kotel is a “support wall” of the Temple Mount, not the ancient Jewish Holy Temple, and an inner wall in the Old City. If you look at pre-1967 Six Days War photos you won’t see anything like today’s large impressive plaza. It was more like a narrow street where Jews gathered to pray by that wall. Now, if you want to ascend the Temple Mount, you go through an additional, much more extensive security inspection. Your bags will be opened, checked and frequently held by the special security staff. Tourists, Jews, Christians and anyone else who doesn’t seem to be an Arab Muslim can only enter through that gate. Muslim Arabs have other entrances to the Temple Mount which aren’t from the Kotel area. That means that not only aren’t they inspected before entering the Temple Mount, but they haven’t gone passed through the metal detectors at the entrances to the Kotel. Yes, the Arabs can bring anything they want up to the Temple Mount, whether something as safe or innocuous as food or prayer books, but also guns, knives and explosives. The Israeli soldiers/police stationed at the Arab entrances have nothing to do other than being “window dressing” to make it look like there’s some security. Their only real job is to keep the non-Muslims from entering. Non-Muslims may be able to bring food, though saying a prayer/blessing before eating may get you carted out. Prayers are forbidden, so we aren’t allowed to have any prayer books with us on the Temple Mount. And of course, anything considered to be a weapon is forbidden. Remember that the bags are inspected besides personal metal detectors, rather reminiscent of airport security. Here’s another very big difference between Muslims and non-Muslims on the Temple Mount. While Muslims can wander freely, all others are herded into groups which are supervised by “guides.” These “guides” not only restrict where a visitor can go, but they constantly watch to prevent anyone from praying. Yes, I kid you not. For some totally fokokt reason, the Israeli Government has long agreed to the Wakf demand that there only be Islamic prayer on the Holiest Site for Jews. Why don’t we have minimal Civil Rights or Religious Rights in the Holiest of Places? It’s now less than a week until the 9th of Av when for millennia the Jewish People have mourned the loss and destruction of our Holy Temples. The time has come to stop mourning and start building the Third Holy Temple. Stage one is to be fully sovereign in The Land of Israel, the City of Jerusalem and on the Temple Mount!